"You're Black Krrsantan. The infamous Wookiee bounty hunter. I've heard of you. I know why you were forced to leave Kashyyyk. And how you've disgraced your people ever since." 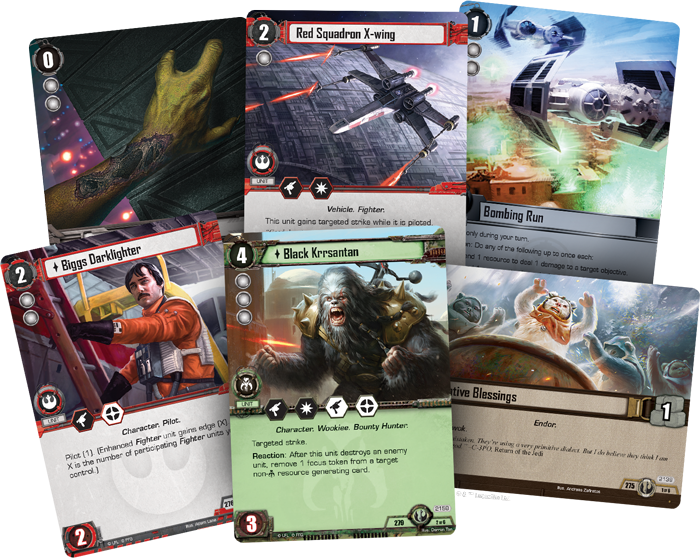 Fantasy Flight Games is proud to announce the upcoming release of Swayed by the Dark Side, the fourth Force Pack in the Alliances cycle for Star Wars™: The Card Game! 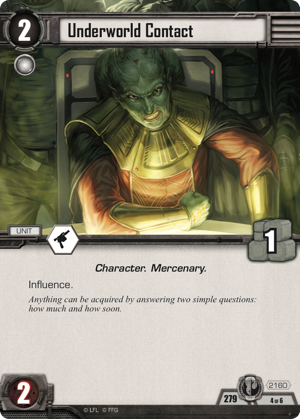 With sixty new cards (divided between two copies each of five different objective sets), Swayed by the Dark Side continues to explore the bonds of friendship, duty, and honor that drive many of the galaxy's pilots and soldiers, as well as the fear, hope, and greed that compel others to take action. 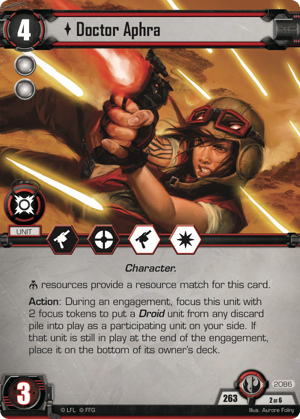 After making his debut in Marvel's Darth Vader comics, Black Krrsantan has quickly become a fan-favorite, and he makes his Star Wars: The Card Game debut in Swayed by the Dark Side. 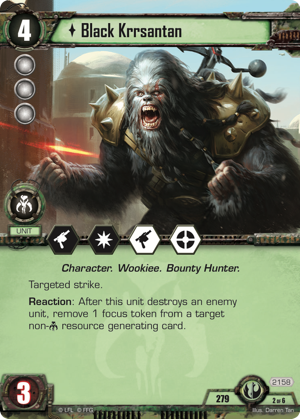 Tall, dark, and deadly, the black-furred Wookiee bounty hunter (Swayed by the Dark Side, 279-2) has been seen most frequently in tow with the notorious Doctor Aphra (Allies of Necessity, 263-2). But their partnership isn't driven by the sort of loyalty or friendship that has long kept Chewbacca united with Han Solo. The primary bond between Doctor Aphra and Black Krrsantan is a matter of credits. Aphra owes Krrsantan a great number of credits, and the Wookiee has elected to keep her safe in order to guarantee his repayment. 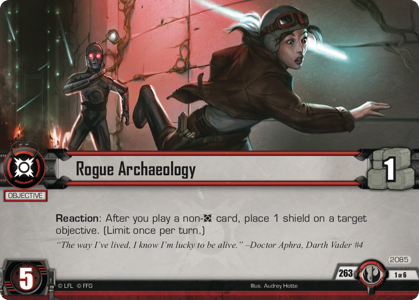 In the comics, the adventures these treasure-seekers share are marked by chaos, cunning, and violence, and Star Wars: The Card Game allows you to explore new adventures for the duo when you play with Doctor Aphra's objective set, Rogue Archaeology (Allies of Necessity, 263-1), and Black Krrsantan's set, Unsavory Contracts (Swayed by the Dark Side, 279-1). Just as in the comics, Black Krrsantan makes an ideal enforcer to serve alongside Aphra. 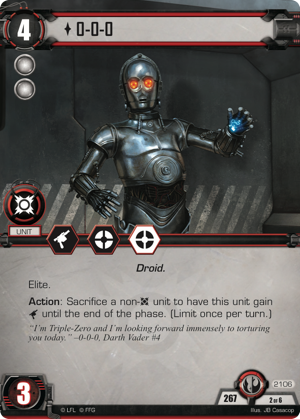 Even though Aphra's ability and objective set appear geared more toward realizing the destructive potential of Droids like 0-0-0 (Aggressive Negotiations, 267-2), BT-1 (Aggressive Negotiations, 267-3), and IG-88B (Solo's Command, 188-2), they can just as easily contribute to the defensive potential of a dark side deck built around using Black Krrsantan's Targeted Strike and Tactics icon—as well as those on Aphra and other characters—to establish an unassailable late-game. 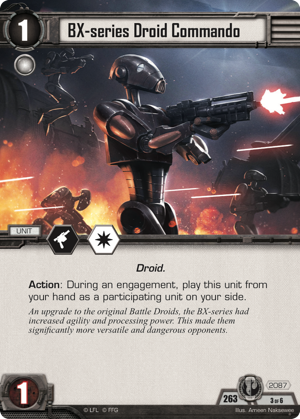 In such a partnership, Aphra's Rogue Archaeology objective can generate valuable shields, even during an engagement—provided you can play a BX-series Droid Commando (Allies of Necessity, 263-3). 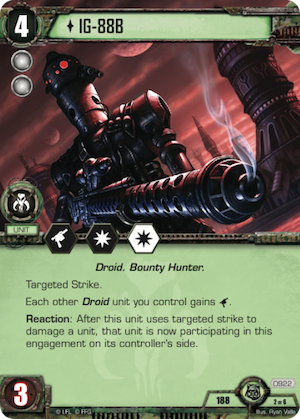 And Black Krrsantan provides the muscle, taking down enemy units with his Targeted Strike and the extra unit damage provided by Aqualish Arms Dealer (Swayed by the Dark Side, 279-3) and Allies of Necessity (Swayed by the Dark Side, 279-6). Krrsantan can even enable Doctor Aphra to conduct her Droid Reconstruction (Aggressive Negotiations, 267-5). 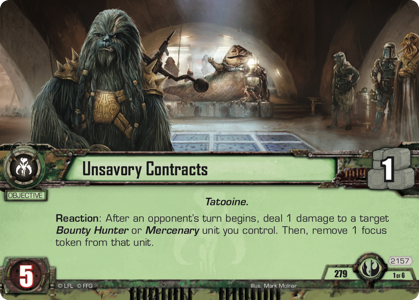 Since Krrsantan's objective set contains a point of Influence on its Underworld Contact (Swayed by the Dark Side, 279-4), and since the Underworld Contact is a Mercenary, you could extort the Contact for a point of damage with Unsavory Contacts to remove a focus token and make the resource available to play another event. 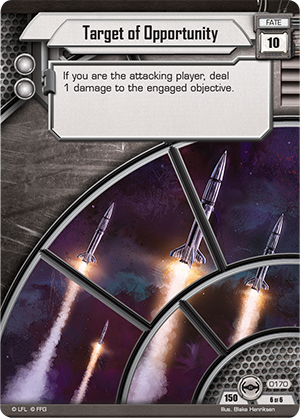 In this way, you could potentially surprise your opponent with the timely play of an event as disruptive as Reversal of Fate (Edge of Darkness, 81-6) or Springing the Ambush (Lure of the Dark Side, 106-5). 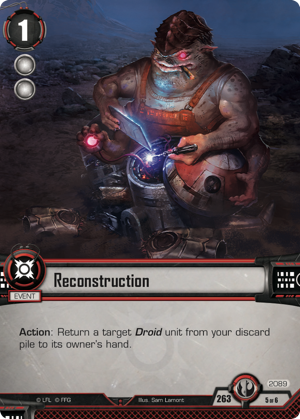 Finally, the Unsavory Contacts objective set contains another pair of cards that lend a great deal of strength to any deck that pairs Black Krrsantan with the members of another affiliation—whether those are Aphra and her Droids or other units like Vader, Stormtroopers, or Star Destroyers. 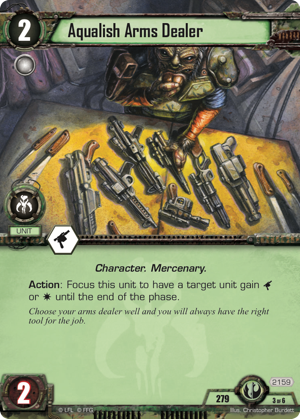 When you have an engagement with units from at least two different affiliations, the set's copy of Allies of Necessity (Swayed by the Dark Side, 279-6) is, as World Champion Mick Cipra previously noted, effectively as good as both Heat of Battle (Core Set, 169) and Target of Opportunity (Core Set, 170) combined. Sure, it's a bit trickier to pull off, but it gives you both the extra unit damage and blast damage you'd normally get out of the other fate cards, and with Black Krrsantan's Targeted Strike, that extra unit damage is arguably more valuable than the one point of damage you'd apply directly with Heat of Battle. 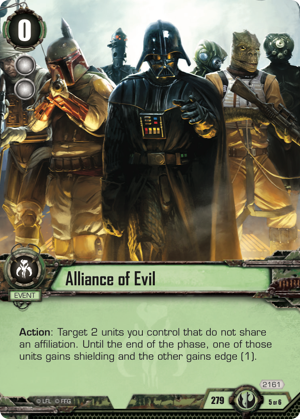 And the second of these cards, Alliance of Evil (Swayed by the Dark Side, 279-5), functions similarly—although at action speed. 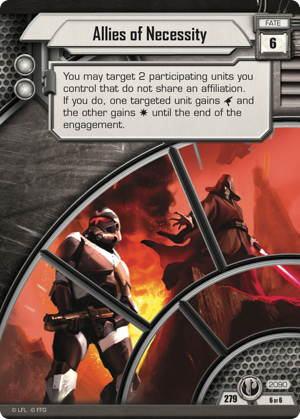 As with Allies of Necessity, Alliance of Evil forces you to target two of your units that don't share an affiliation and then grant a bonus to each of them. One gains a point of shielding; the other gains edge (1). And both keep these bonuses until the end of the phase. The biggest difference between Alliance of Evil and Allies of Necessity, however, may be the fact that the units don't both have to be part of the same engagement. 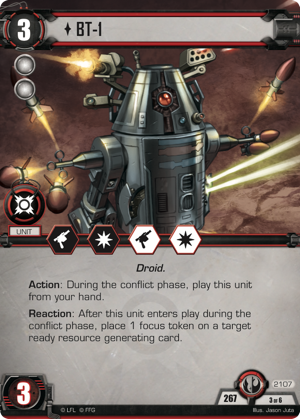 Accordingly, even though it may feel counter-intuitive to wait until after an edge battle to play Allies of Necessity to give edge (1) to one of your units, you can give it to the unit you've held back for a second engagement, especially if you need the point of shielding to keep Black Krrsantan, Aphra, or another key unit from being destroyed or being suppressed by your opponent's tactics icon. 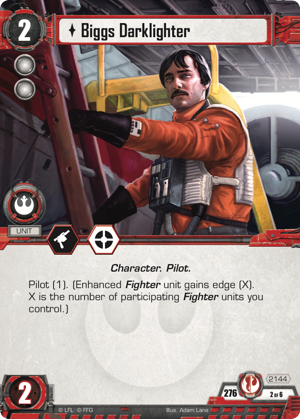 With all the tricks and destruction that Black Krrsantan and his Unsavory Contracts bring to the Scum and Villainy affiliation, all the support the Rebel Alliance gains from Biggs Darklighter (Swayed by the Dark Side, 276-2) and Red Three (Swayed by the Dark Side, 276-3), and all the other options provided in the Force Pack's other objective sets, Swayed by the Dark Side promises to make it difficult to choose between the affiliations. 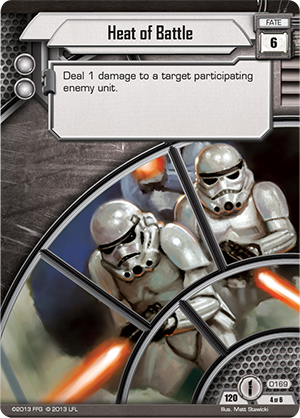 So it's a good thing the Force Pack furthers the Alliances cycle's efforts to make it easier to play two or more affiliations in the same deck! Honor the Ewoks and their sacrifices. Advance the Sith agenda under the cover of Night. Terrorize nearby star systems with your Star Destroyers and bombers. 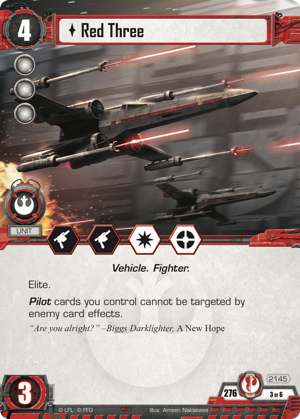 The game's affiliations are no longer as divisive as they once were; the only truly enduring conflict is between the light and dark sides of the Force. Will you stand with the armies of light, or will you be Swayed by the Dark Side? 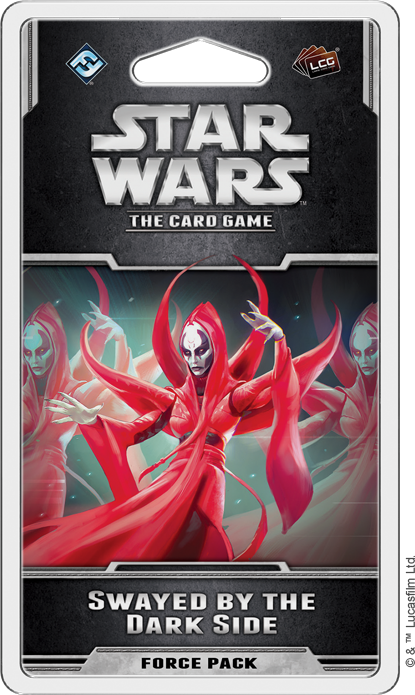 Swayed by the Dark Side (SWC40) is scheduled to arrive at retailers in the fourth quarter of 2017!